Mountain biking is one of the most popular disciplines of cycling and the selection of mountain bike brands out there is enormous. Knowing what kind of riding you plan to do will help decide which brand of bike is best for you. Some of the biggest companies such as Trek, Cannondale and Specialized offer a top of line reliable mountain bike with some of the best technology in the industry. Smaller mountain bike brands such as Niner, Felt, and Santa Cruz offer high performance machines that are a bit more niche marketed toward the high-end consumer market. Below are the top 10 mountain bike brands in our opinion, in no specific order. Specialized offers a full array of bikes depending on the type of riding you plan to do, from cross country to downhill to fat bikes, they have you covered. “From ultra-lightweight XC hardtails to our World-Championship-proven FSR suspension designs found on our trail and downhill bikes, you’ll find the ideal setup for your riding style”. Specialized is one of the largest bike companies in the world, based in California, and focus on technology and innovation. Specialized is a market leader with a lot of other company’s modeling their bikes and ideas after the innovative designs Specialized comes up with. One of the most innovative designs on the market, Cannondale created the lefty fork making it one of our top ten mountain bike brands. Cannondale’s signature green color schemes and asymmetrical fork give it a stand out look for a top-performing bike. Cannondale’s mountain bike line is focused mainly on cross-country and is making a strong surge in the enduro category of mountain biking. Cannondale has coined many acronyms for any new innovations they develop such as Ai, Si and hologram. All of these new innovations are only available on Cannondale bike’s and makes them some of the best mountain bikes you can purchase. Trek has the most models available to select from. 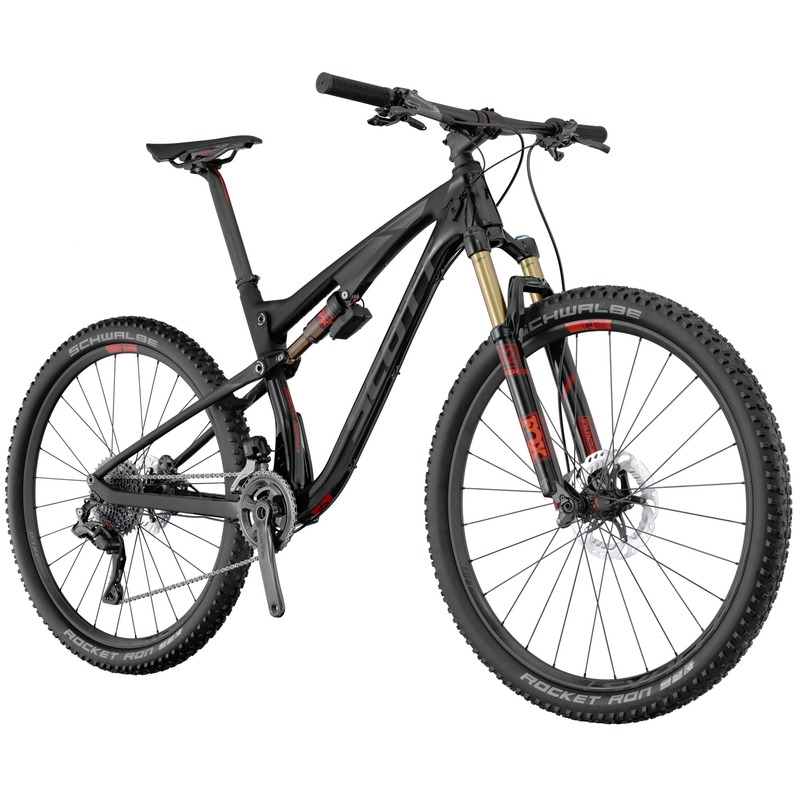 Trek offers one of the largest women’s specific lines and models from beginner mountain bikers to world cup racers. “Our lineup has every rider covered, from those just beginning to push their limits, to those racing or going for serious air. If you’re seeking a ride to expand your horizons in expansive environs, look no further.” Trek is based in Waterloo, Wisconsin and has always had a strong focus on values and creating the most elegant machine possible. At Niner their passion for mountain biking is evident in every product they create. Niner is a relatively new company compared to some of the bigger brands previously mentioned, but that has not stopped them from creating one of the best mountain bikes on the planet. Niner is primarily focused on their mountain bike line, and has become one of the most recognizable bikes amongst different mountain bike brands. Their passion and commitment to making exquisite mountain bikes is seen throughout every bike they design. “At Felt, our mission remains as it’s been since the beginning: to design, develop and deliver the best bicycles in the world. Period.” Felt is a company that truly stands behind their statement above; they create quality bikes based on constantly innovating their designs. Felt’s full suspension trail bike is probably one of their most popular mountain bike designs. Felt’s main focus is on performance and creating fast durable bikes. Santa Cruz is one of the top mountain bike brands available. Santa Cruz only offers mountain bikes, so you can rest assured all of their energy is put into creating the best mountain bike possible. Santa Cruz started like many tech companies in Southern California in 1993 in a single car garage. Now they offer 16 different mountain bike line ups with one of their most popular being the women’s Juliana line. Santa Cruz is known for being a little bit weird and out there when it comes to mountain bikes, but that’s one reason people like them so much! Being the largest bicycle manufacture on the planet makes their name Giant a very fitting name. Giant mountain bikes can be found anywhere in the world, and their shear size has helped them become one of the biggest mountain bike brands in the world. The size of the company has helped them create some of the best designs because of the amount of resources they are able to own. Starting as a ski company Scott has always been focused on creating the lightest most efficient mountain bike possible. Their mountain bikes have won many world cups and races around the world. In the early days of carbon fiber, Scott broke the world record for the lightest mountain bike frame, something uncommon in the early days of mountain biking. No not the overpriced cooler, the mountain bike brand that is based on passion and creativity. Yeti has created a culture that is focused on having fun and making you feel comfortable and enjoying your time on the bike. Yeti has a simply philosophy, they build bikes they want to ride. With this kind of passion and attention to detail many companies could learn a lot from Yeti. Kona found inspiration from the Hawaiian Islands and offer an extensive list of mountain bikes to choose from. Their list of bikes is so long it would be close to impossible not to find a bike that suits you. They even have a place on their website to help you pick out the perfect bike, because of the wide array of lines they offer. Kona is certainly one of the best mountain bike brands because of this.